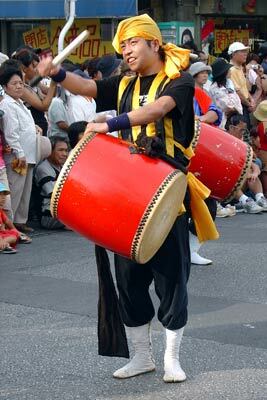 On base and in Okinawa City, festival season continues this weekend. 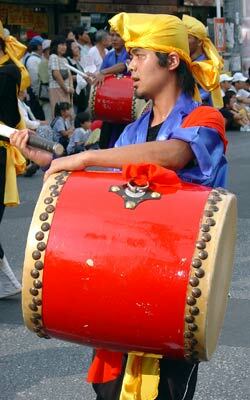 Okinawa City puts on its biggest smile tomorrow as it opens the three-day All Okinawa Eisa Festival, featuring dozens of eisa drummers performing at the Okinawa City Park. It all starts with a parade Friday evening, beginning at 7:30pm. 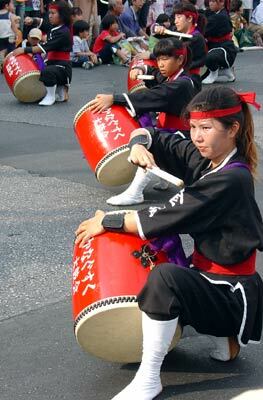 The festivities begin at two locations in the Nakanamachi area just before Goya Crossing off Gate 2 Street. The dance groups will start from the Gate 2 Street entrance and move south, while a second batch will start at the southern end of Nakanamachi and dance their way to Gate 2 Street. Saturday and Sunday the fun picks up as the Eisa Festival joins with the Orion Beer Festival. Dancers perform during the day, and carnival activities are in full swing. The main stage lights up beginning at 6pm each evening, with Okinawan singer Shakari and the band Goma performing Saturday. Sunday there will be three groups – Jeans, Proud 9 and Diamantes with Radius – on stage. Fireworks cap each evening at 9pm. The Hansen Friendship Festival has been delayed due to the approaching typhoon.